Love is largely about timing, and one groom was nearly a few seconds off. Dr. Marcus Bright was running late to a dinner with a friend after spending an entire day at a conference in New York City. The educator, now a visiting professor at the University of Massachusetts, had to make his way all the way uptown to Harlem, but unbeknownst to him, his friend had invited out another person, Dominique Sharpton, to join the meal. That night, Sharpton had to leave early due to a commitment the following morning. As she made her way into a cab, Bright had just arrived—and their worlds collided. The bride, the daughter of activist Rev. Al Sharpton, invited Bright to a rally the following morning, which happened to be scheduled at the same time as his outbound flight to Miami. He missed his plane home, and instead, passed along his number to Dominique. In June 2016, Bright proposed. 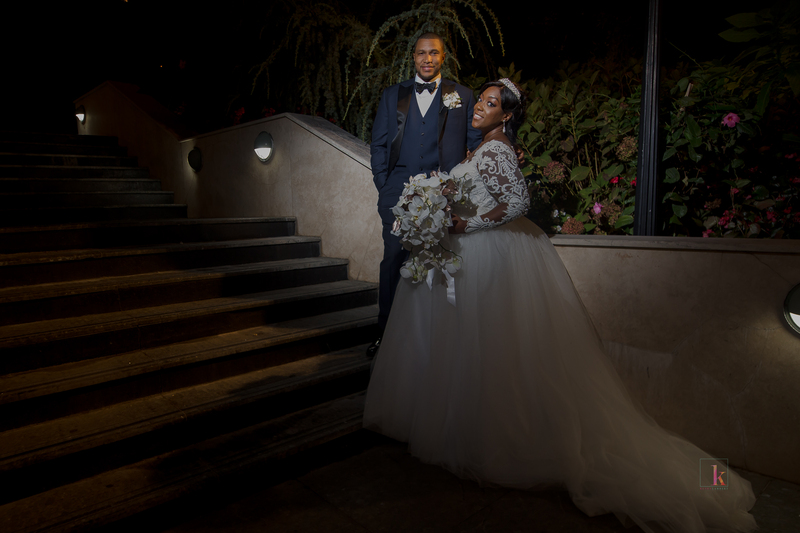 Following a 16-month engagement, the couple married in Queens, New York, on October 15, 2017. The bride’s father, Rev. 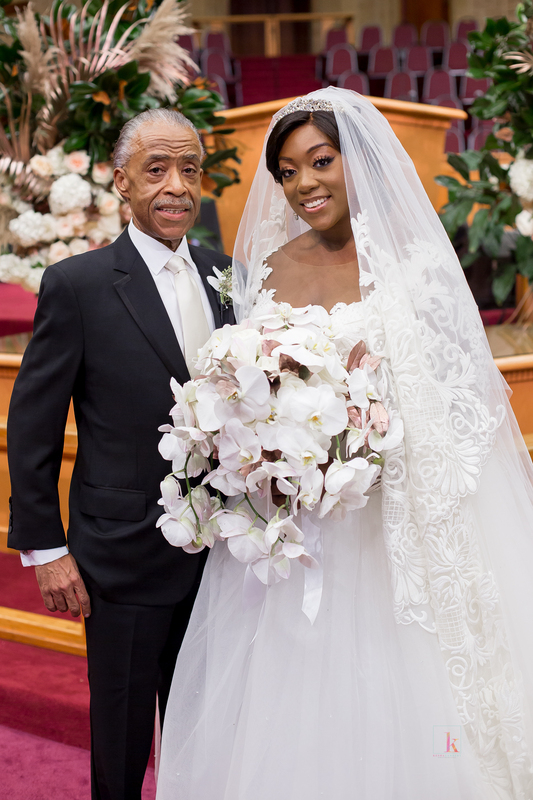 Al Sharpton, walked Dominique down the aisle before 1,000 guests. Dominique and Dr. 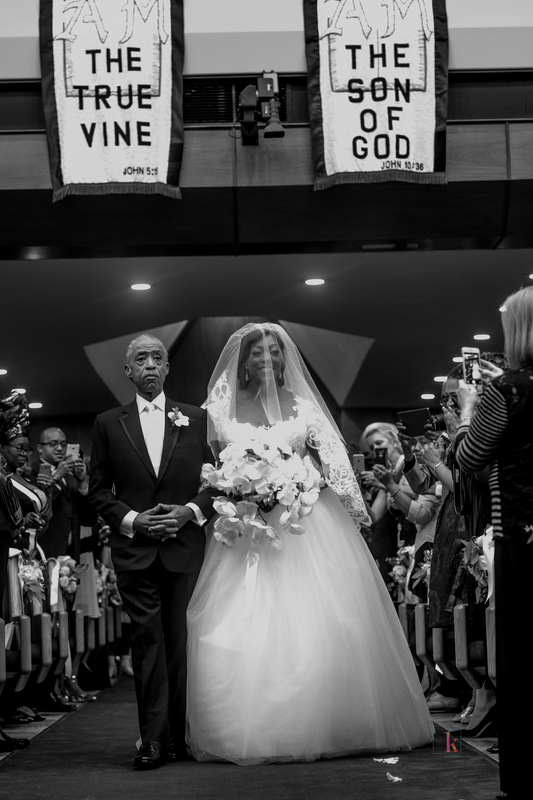 Bright married at the bride’s home church, the Greater Allen AME Cathedral of New York, opting to open their wedding to the general public for a valid reason. “Much of Dominique Sharpton’s life was spent at public rallies and [her father’s] National Action Network events, where many members of the community watched her grow up,” a press release read. The Rev. 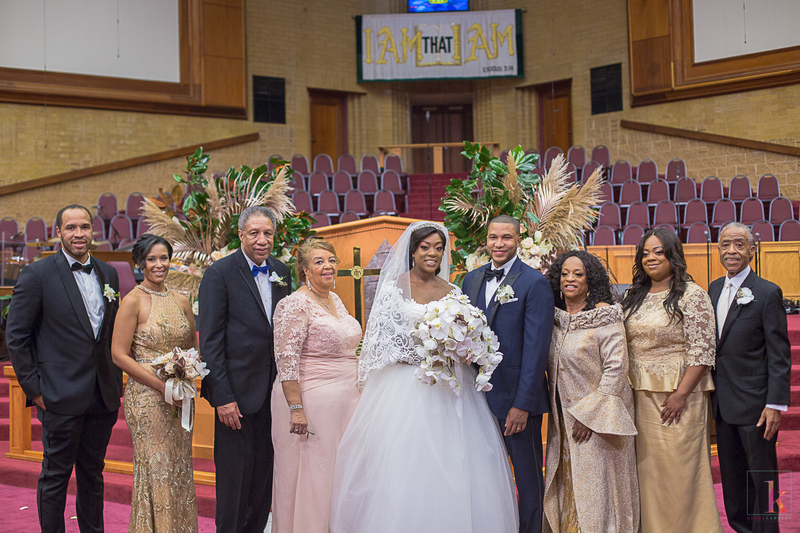 Margaret Elaine Flake officiated the nuptials after conducting premarital sessions with the future spouses. 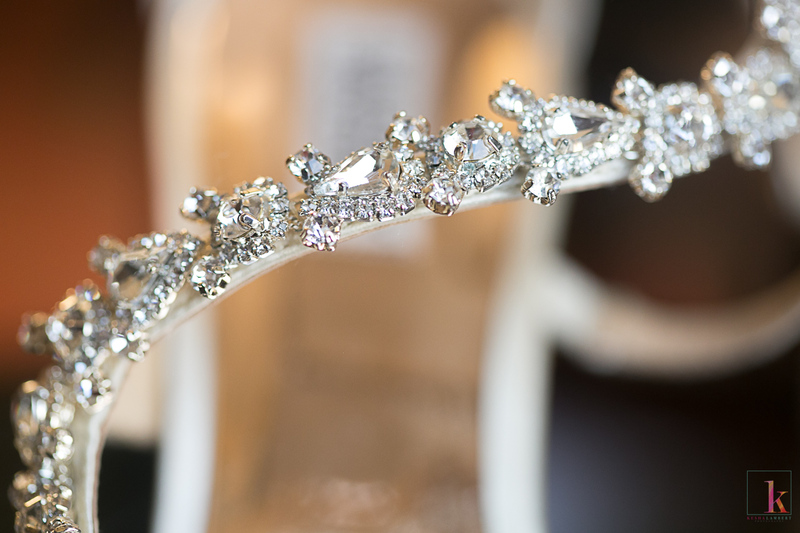 For the ceremony, the bride wore her mother’s tiara and a gown custom designed by Paulette Cleghorn for Yumi Katsura. Get more details about the wedding below. 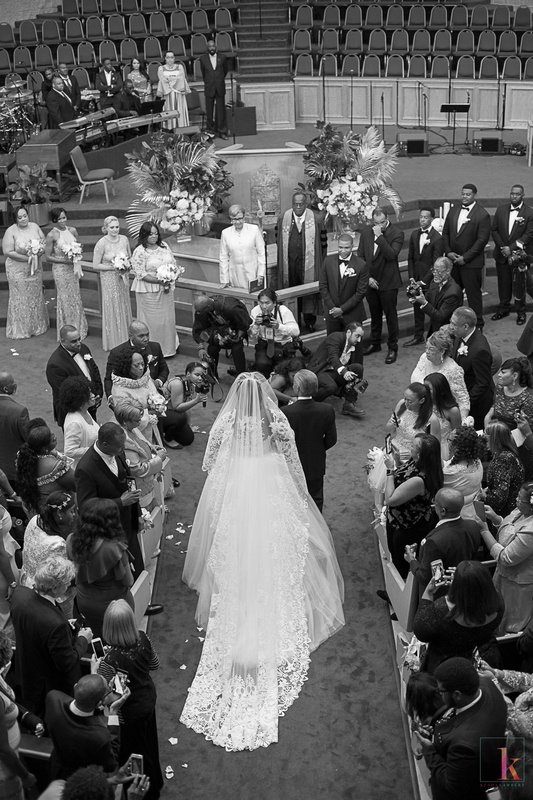 The couple hosted a meet-and-greet with their 1,000-plus guests in the great hall of the church immediately following the wedding ceremony. However, they opted for a tinier private reception for their family which was held at Terrace on the Park in Flushing, New York. 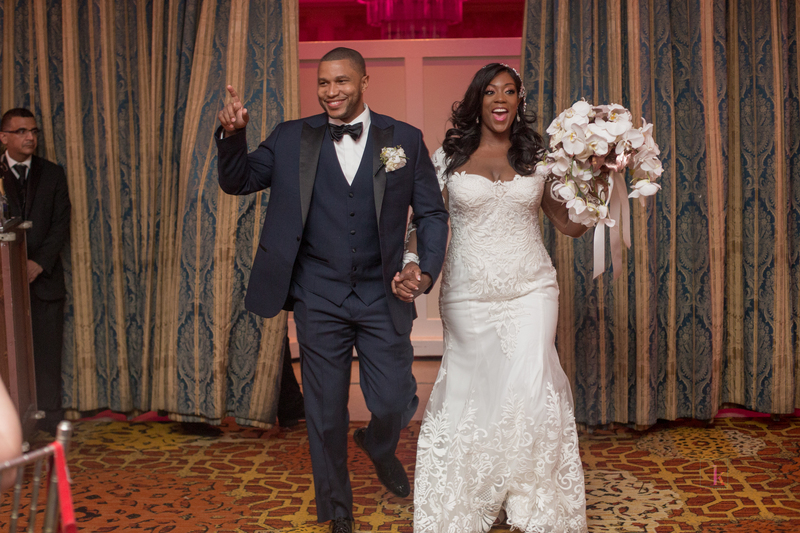 The couple played off the groom’s last name, “Bright,” and went with the theme—A Brighter Future. 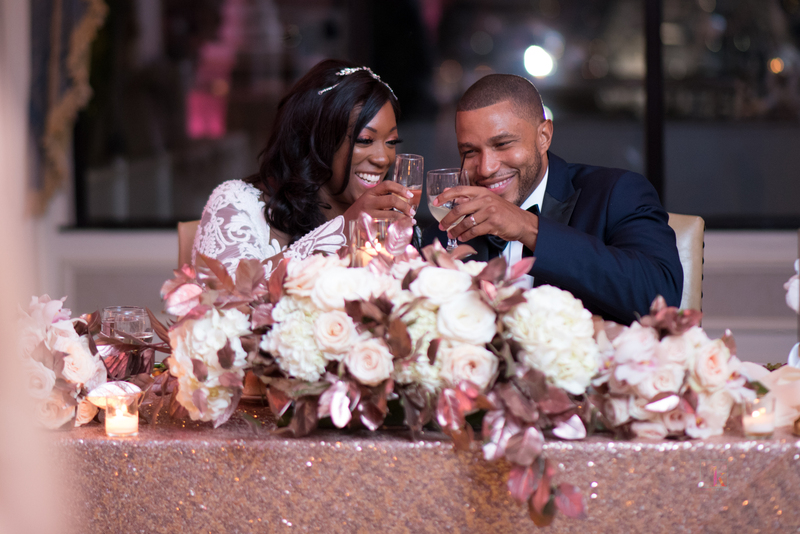 The couple implemented sparkly tablecloths and amber lighting, and went with centerpieces in bright ivory and gold colors. 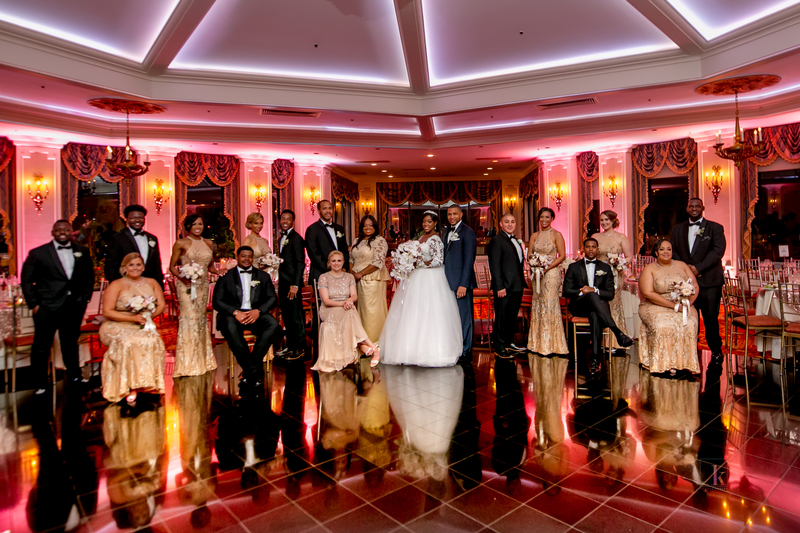 “The room was bright and beautiful,” says the bride. 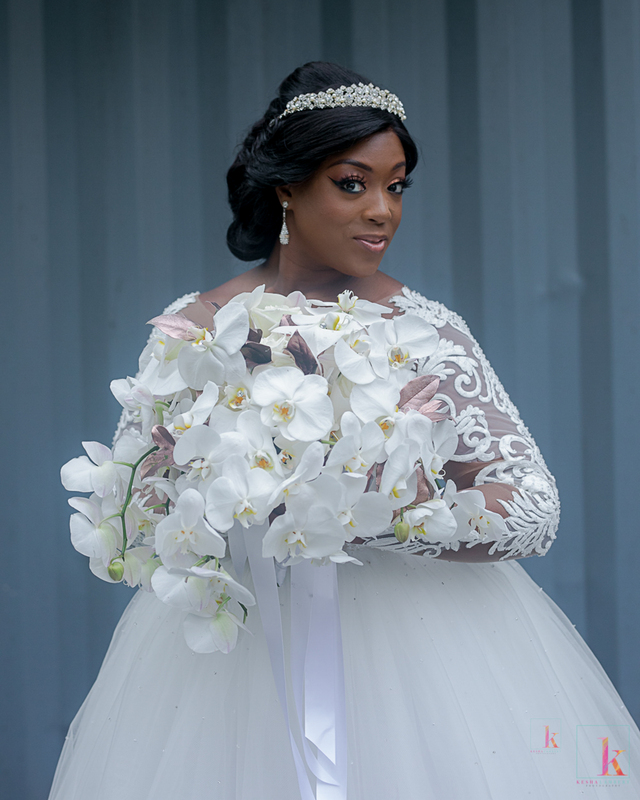 The couple worked with Day’s Desk Weddings and Private Events for planning, while TMG Unique Event Designs executed the design. 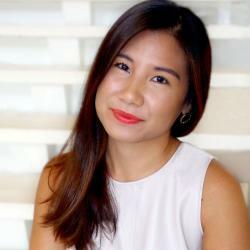 “Even if you have a wedding planner, be prepared to spend a lot of your time on planning if you have a big wedding,” she adds. The bride and groom’s preferences certainly filtered into the wedding menu. “Marcus and I love having steak dinners together,” she notes, “so we both had filet mignon.” There were four other options, including baked chicken, salmon, shrimp, and vegetable lasagna. 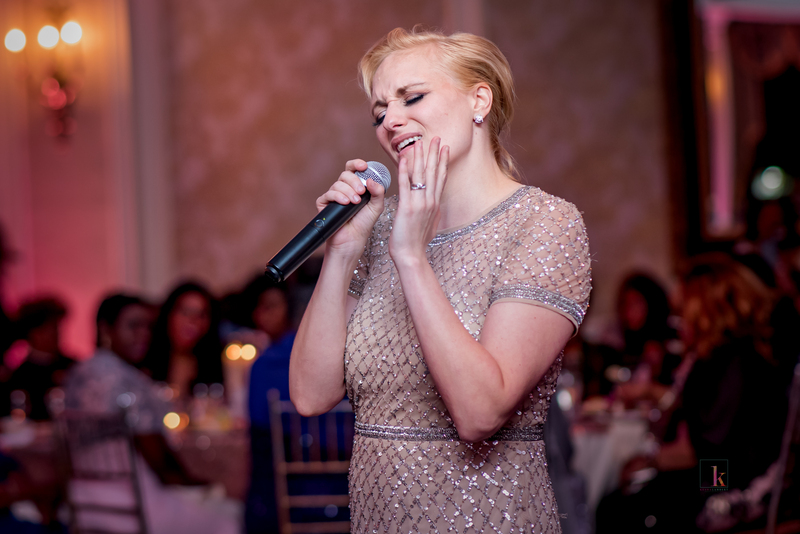 “We also had the most decadent dessert table,” boasts the bride, who served sundaes at an ice cream station. The pair served two cakes that night. The first, a red velvet cake decorated with metallic flowers at the meet-and-greet at church from Cake Man Raven. At the family reception, the couple went with a six-tier black and white marble cake. “Our cake toppers said ‘Dr. & Mrs,’” she adds. 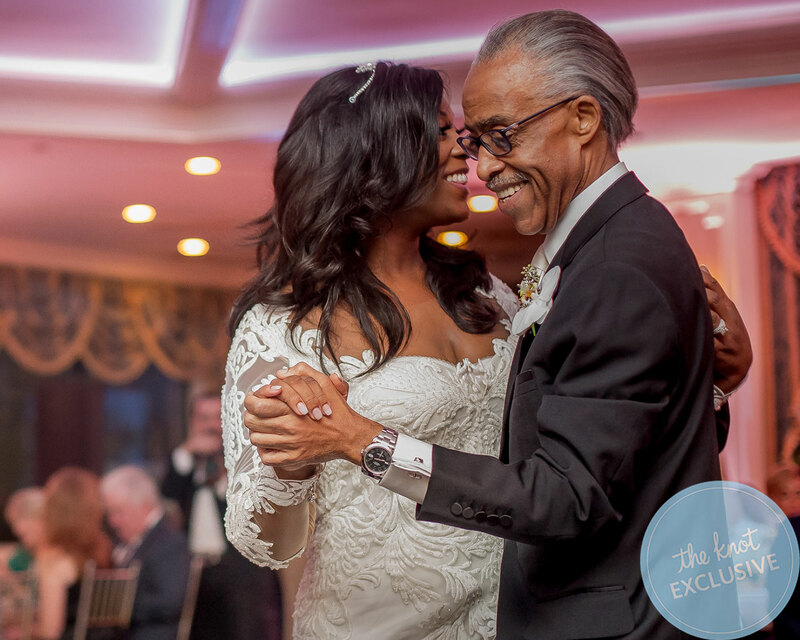 Be the first to comment on "Reverend Al Sharpton’s Daughter Dominique Sharpton Marries Before a Thousand Guests"